RRaaarrrgh! Arrgh! Roowwwarrrggguuurraarghh! GrrrarrAAAArrrgghhhhgrrrr! Grr. Growerr. Fourth quarter 2018. With his enormous strength, Chewbacca is a valuable asset for the Rebellion in any fight. From the depths of the Death Star, to the frozen plains of Hoth, to the forest moon of Endor, he has demonstrated time and again the power of having a Wookiee on your side. But perhaps even more valuable than his size and strength is Chewbacca’s unwavering loyalty to his friends. Willing to follow Han Solo, Luke Skywalker, and Leia Organa into any conflict, Chewbacca lends his aid to each of these bold leaders on the battlefields of the Galactic Civil War. 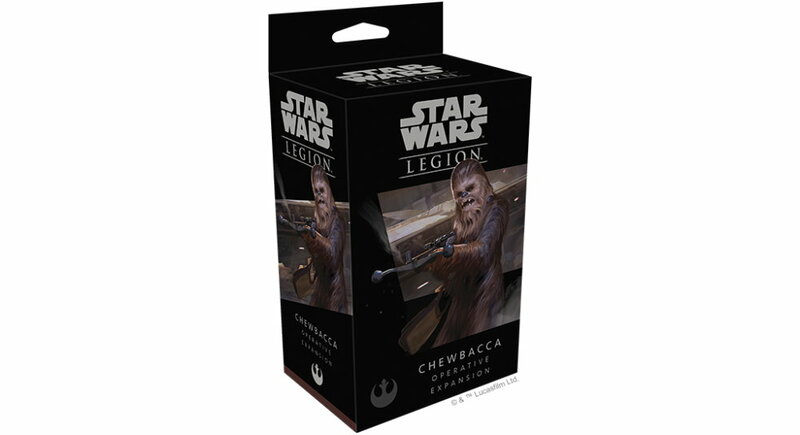 Soon, Chewbacca will be able to team up with these heroes during your games of Star Wars™: Legion with the Chewbacca Operative Expansion. 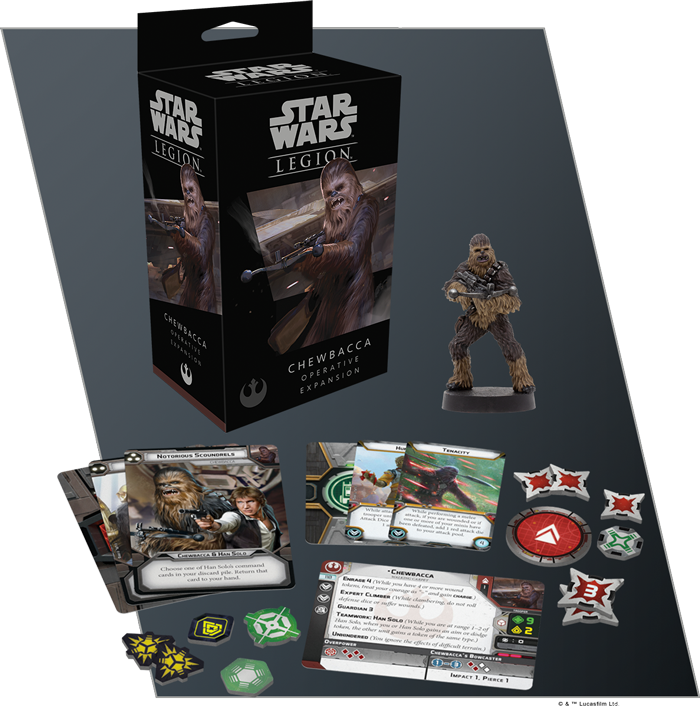 Within this expansion, you’ll find a single unpainted, easily assembled Chewbacca miniature charging into battle with his bowcaster at the ready, alongside all the cards and tokens you need to add him to your army. 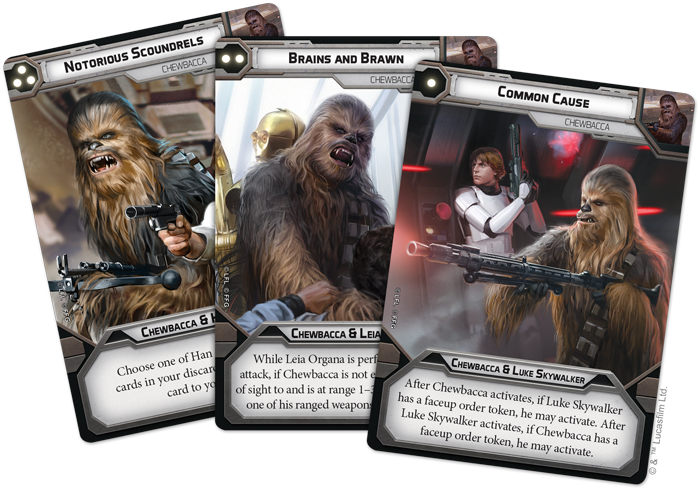 In addition to his formidable presence, Chewbacca’s signature command cards let you do even more with the Rebel commanders leading your army.